This video is called Pine Grosbeak (Pinicola enucleator). These birds starred in my earlier blog post about northern Finland on 14 March 2015. 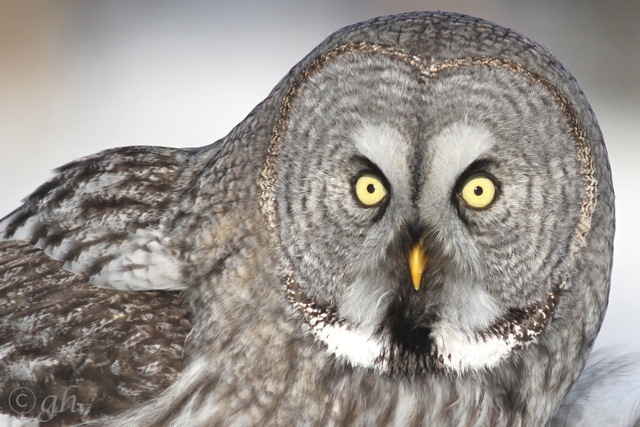 This video from Finland is called Great Grey Owl (Strix nebulosa) flies towards the camera and eats a mouse. 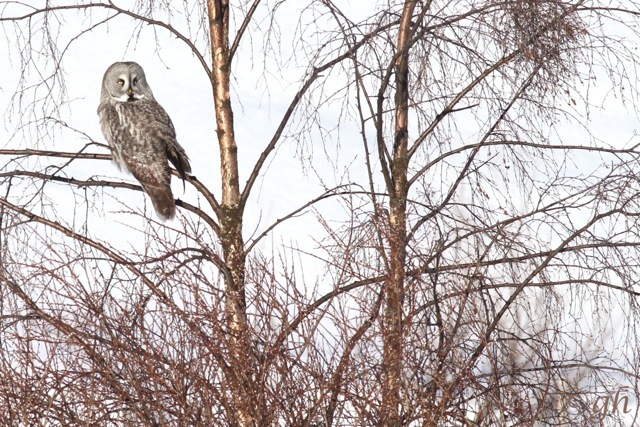 To see great grey owls that day, we left Kuusamo and went to a roadside not so far away. There, on a coniferous tree, sat a great grey owl. Our Finnature guide put a dead shrew on the snow to attract the owl. Though most carnivores don’t really like shrews, preferring mice, the owl did come to eat it. 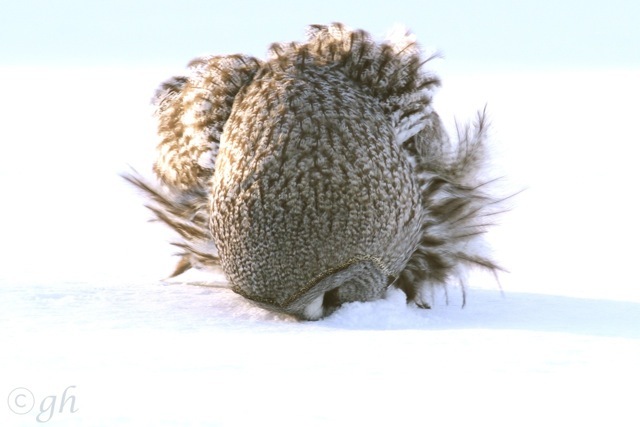 Then, a dead vole was put on the snow to attract the owl again from its tree. We went back to the pine grosbeaks of Kuusamo. Three herring gulls flying overhead. Rather far from the sea where one might expect them. 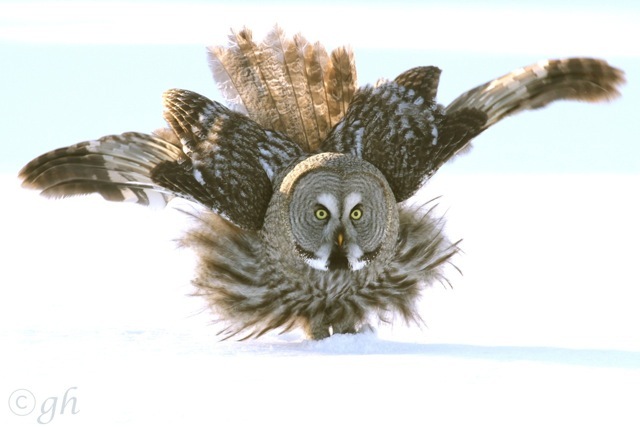 Then, back to the great grey owl. There turned out to be not one, but two great grey owls; mates? One of them sat in a birch tree. Later, it moved to a utility pole; from where it flew repeatedly, trying to catch small mammals. 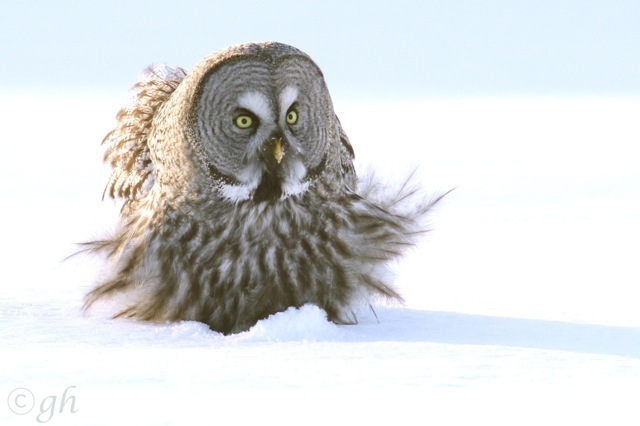 The other great grey owl still sat close to the road; and reacted to food on the snow. It caught the dead small mammal. This entry was posted in Birds, Environment, Mammals and tagged Finland, Finland birds, owls, photography, travel by petrel41. Bookmark the permalink.